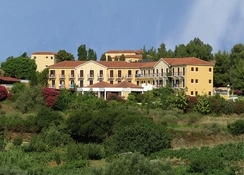 The Karavados Beach Hotel is all about giving guests a memorable holiday in a luxury resort on the sun-kissed island of Kefalonia. This is the perfect holiday getaway for those who want to a relaxing break where they can enjoy the outdoor pool and sun terrace as well as views over the sea. Each room is traditionally decorated and provides a great level of comfort while the on-site restaurant gives guests plenty of choice and an exciting dining experience. 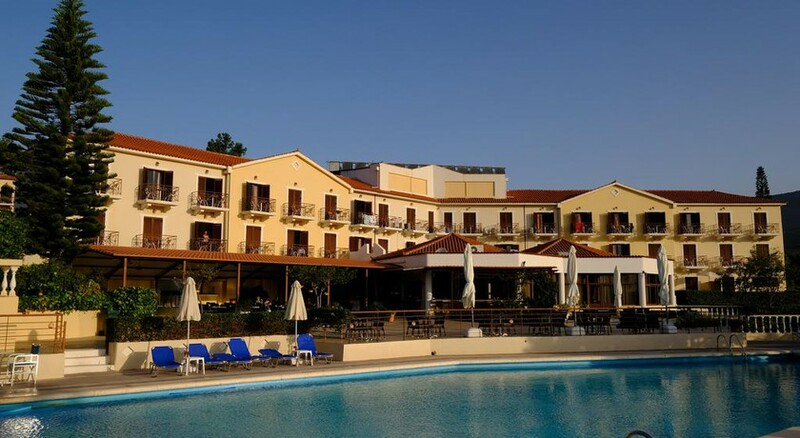 The Karavados Beach Hotel provides guests with access to stunning beaches, attractions and even simple access to the neighbouring island of Zante. The hotel is perfectly located close to St. Thomas Beach, as well as Trapezaki Beach including Pessad Harbour ensuring guests have plenty of choice should they choose to spend the day at the beach. For those who like to explore, there is a ferry that the can catch over to Zante, enabling them to sample even more of these wonderful Greek Islands. There are plenty of restaurants and bars in the area and shops where they can grab a souvenir to take home with them. 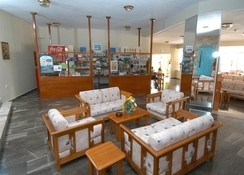 The hotel is located 11km from the airport. Guests can make themselves comfortable in one of the 77 rooms with Studios, Apartments, Double Rooms and Triple Rooms on offer. The rooms are simple yet comfortable and come with a range of facilities that promise a great holiday. All rooms come with a private, furnished balcony, air conditioning, telephone, TV, safe, fridge and a separate bathroom with shower. The on-site buffet restaurant provides guests with a special dining experience for breakfast, lunch and dinner. 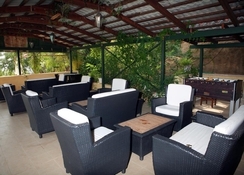 Here guests can sample a selection of tasty dishes including local and international cuisine. Throughout the day and night, the bar offers a choice of beverages, enabling guests to grab a refreshing drink at any time of the day. If guests are looking for something different then there are plenty of family-friendly bars and restaurants located in the area. The hotel encourages guests to relax and take things easy with the spacious sun terrace and outdoor pool providing them with the chance to relax, unwind or take a refreshing dip. Guests can turn their hand to tennis if they want to remain active while there are many stunning beaches in the vicinity where guests can either spend the day sunbathing or enjoying water sports. A lovely , friendly, very clean hotel. If you want a quiet holiday it's ideal. The hotel has a bar also. Food was very good too. Pool Area loveley and Peaceful. Any further travelling requires a car or reasonable priced taxi. Pete and his Team in the Restaurant are amazing. Great location for touring the island. The hotel was nice and tidy, fab size pool ,wasn't too cold... Staff were lovely and helpful, food was amazing. Views were lovely, we hired a car for 3 days = €100 went to most of the island and saw he turtles at Agrostoli. Friendliest staff love them all and miss them.